In the first season X-Files episode, "Jersey Devil," shrinking habitats lead to "missing links" emerging in the human genome, contributing to the rise of a line of feral humanoids, similar to Neanderthals. The notion that an evolutionary mutation could suddenly turn humans into horrifying mutants sounds like science fiction, but according to X-Files science advisor Anne Simon, is an actual possibility, at least if we don't make a serious effort to curb global warming. The vast majority of scientists agree that global warming is a huge problem. Earth's temperature has risen by 1.5 degrees in the last century, and is expected to rise up to 9 degrees more by the end of this century. The oceans' temperatures have risen, the ice caps are melting, and sea levels are rising. Even the smallest changes in Earth's climate can cause severe floods, droughts, killer heat waves, wildfires, and more. Entire islands will sink beneath the ocean, mosquito-borne diseases will proliferate at a faster rate, and disruption of habitats could send thousands of species to extinction. And that's just the beginning. All of that is scary enough, but apparently there's another danger of global warming that we might not expect: the danger of becoming Jersey Devil-esque mutants. 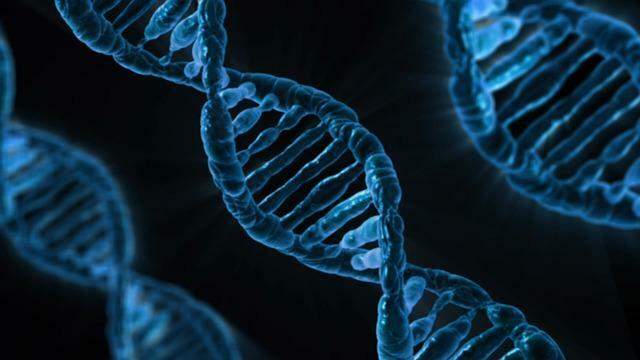 University of Chicago scientist Susan Lindquist discovered in the early 2000s that environmental stresses, such as rising temperatures, can cause significant genetic mutations, even within a single generation. When exposed to hot temperatures, fruit flies had offspring with notable deformities, which were then passed onto the next generation. Some of the mutations were quite disturbing; a few of the baby flies were missing their eyes, others had strange-looking legs or wings. But what caused this rapid genetic mutation? Apparently, the mutations were already present in the flies' DNA, but under normal circumstances, a protein called Hsp90 "masked" the mutations so they weren't expressed. But when a species experiences a significant environmental stressor, the Hsp90 protein is turned off in order to ensure that the next generation of mutant babies has strange physical features that may allow them to better withstand the new conditions. also have the Hsp90 protein... and global warming could be a severe environmental stress," Simon writes. "No, 'mutants arising from global warming' isn't an X-Files [episode]. It's from the program called Real Life and we're all starring in it." The X-Files generally shied away from being too overtly political, but it did often engage with real-life environmental concerns. In the classic Darin Morgan episode, "War of the Coprophages," for example, Scully attributes a swarm of killer cockroaches to the very real problem of invasive species (although Mulder, of course, counters with the trusty alien robots explanation). "The Pine Bluff Variant" plays on fears of biological warfare, as the very name of the episode refers to a real-life US military base stockpiled with chemical weapons. And several episodes, including "Jersey Devil" and "Quagmire," explore the consequences of environmental stressors on species. In the latter, decreasing amphibian populations disrupt the food chain, causing a huge sea monster to come closer to shore to find a food supply. "These X-Files remind us that nature is not just a picture postcard. She is a living system. And we are fooling ourselves if we believe that we can continue to fool with Mother Nature without someday paying an enormous price." Please try to make clean environment, clear air, clear vision, clear mean. That's all.